>> Cat Urinating in the House? Why They Do and How to Stop It! A cat makes a wonderful pet to be around with, especially if you happen to love cuddling a furry friend! They're cute, easy to take care of, and will be there for you for years to come. But there's one problem: He urinates around the house a LOT! A cat urinating in the house is quite common, unfortunately. There are underlying reasons as to why your cat likes to pee in your home and don't worry; it isn't to piss you off (well, maybe). To help you out, we give you tips on how to stop your cat urinating in the house, as well as the various reasons why they do it for you to understand your furry friend better. Why Does Your Cat Urinate in the House? While your cat is furry and cute, it can be irritating when you see him spray all around your home, creating a mess and a stinky smell you can't seem to remove! Your cat may be suffering from a lot of frustration, stress, or anxiety. The negative feelings may cause a change in their urinating habits. It may be due to mark his territory when a new person moves in, or because he is triggered by another cat. It can also be caused by his litter tray, where your cat may not like the type of litter you put, or where the tray is placed. Sometimes, your cat may have a hard time heading to the litter tray (from old age, obesity, or sickness), so he chooses to urinate wherever is nearest. Another reason would be that your cat is not housebroken, so he does not know where to pee. Or, he may have grown accustomed to peeing in one area around your home that isn't the letterbox, such as the wooden floor or carpet. Just like dogs, your cat may just be marking his territory to surround himself with a familiar scent. This is a most common reason for male cats that are not neutered. ​If your cat is suffering from any sicknesses in the stomach, then it's best to have him checked by the veterinarian and purchase medication to treat it. It will help stop the excessive or urgent peeing. Another type of medication you can get for your cat would be anti-anxiety medicine, which will help put him at ease, especially when there are changes in the house. If your cat has a problem with peeing on one particular spot, then clean it properly without the use of overpowering cleaners, as your cat may end up over marking the area. You can neutralize the scent through cleaning marked spots with a water-vinegar mixture. Also, make that soiled area as unattractive as possible. But if you don't want to ruin the design of the area, you can encourage your cat to stay around the areas they should urinate. Feed, play or give treats to your cat near the litter box, so he will prefer staying (and urinating) there. Your cat's problem may be the litter box. Cats do not like urinating in an already soiled litter, so it's best to replace and clean the litter box daily. Use feline-friendly disinfectant and make sure that it is free of strong smells that may discourage the cat from using it. You can change the location of the litter tray, making it more accessible and private for your cat. 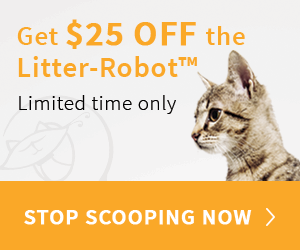 You can also place it near the areas your cat would usually soil to prevent him from making a mess. Use the type of litter that has the consistency of sand. If changing litter, do it slowly. Mix it in with the usual litter he is used to for your cat to adjust to the change. There is such a thing as Cat Attract Litter, which is made out of particular material that helps attract cats into urinating into the litter. You may need to replace his litter tray. We suggest that you invest in a more secure one for privacy. Another litter box can help, especially if his problem is not being able to control his urge to urinate. Train your cat for him to see where he needs to pee and where he isn't allowed to urinate in. Place him in a large pen with the litter tray, so he knows to associate his toilet needs with the tray. If he does make a mess, then clean it up with tissue and place it on the litter tray, where he can smell and associate it with where he needs to pee. It will take a few days or weeks to train him, but it is an effective way for him to start urinating in the right places. The reason why you find your cat urinating in the house is that he is territorial, usually around other cats that may taunt him when outside. To discourage him from acting territorial and leaving his scent around the house, make sure he does not look outside where other animals pass by. Boarding up windows or using dark curtains help. If your cat keeps on peeing in one particular room (such as the basement, bathroom, or laundry room), then make sure to keep all doors locked and closed, so your cat won't be able to go inside and mess up. If you aren't able to close the door, put aluminum foil by the entrance. Cats do not like the sound when stepping on the foil. When it comes to keeping your cat well-trained and without messes, you'll need to make sure he stops urinating in the house! Not only will this help him behave better, but it will save you from the messes you have to clean, or the stink you have to put up with. Hopefully, this article on a cat urinating in the house helped you understand what your cat does and how to stop it. So what are you waiting for? If you're suffering from a cat who always urinates around your home, then try these tips out and stop it for good!